I pride myself on being someone who reads books that not everyone else has read. I love being able to share my unique finds with customers and friends. All of these books are special in their own way. Some are very well-known, while others are hidden gems. I can’t wait to see what other people have come up with for this prompt, because I’m sure to find a tonne of great new reading material. 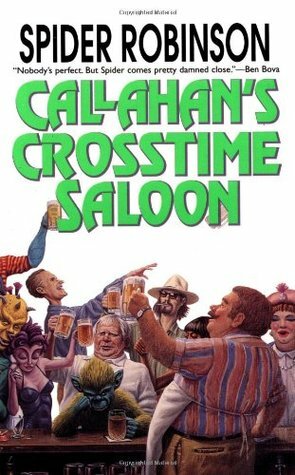 Callahan’s Crosstime Saloon (Callahan’s #1) by Spider Robinson: I started reading this book at a friend’s house and was immediately enthralled by the multitude of unique characters and stories. The whole series is basically a bunch of short stories that are all connected in crazy ways. Listening to the audiobooks is a lot of fun because the narrator does voices for all of the characters, bringing them to life in a way that is reminiscent of radio theatre. Synopsis: Callahan’s Place is the neighborhood tavern to all of time and space, where the regulars are anything but. Pull up a chair, grab a glass of your favorite, and listen to the stories spun by time travelers, cybernetic aliens, telepaths…and a bunch of regular folks on a mission to save the world, one customer at a time. 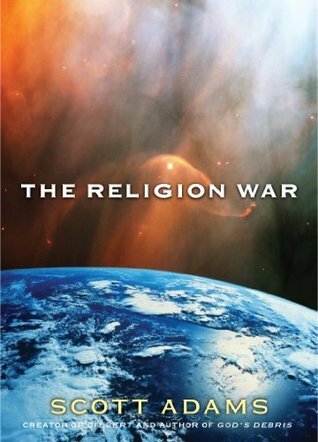 The Religion War (The Avatar #2) by Scott Adams: There’s something so simple, and yet so profound about the message of this tiny book. Essentially, Adams is trying to explain the idea that everything is connected and that a single person or event can create a cascading effect that could change the whole world. Synopsis: In this frenetically paced sequel to Adams’ best-selling “thought experiment,” God’s Debris, the smartest man in the world is on a mission to stop a cataclysmic war between Christian and Muslim forces and save civilization. The brilliantly crafted, thought-provoking fable raises questions about the nature of reality and just where our delusions are taking us. The Book Thief by Markus Zusak: I think anyone who has read this book will agree that having Death as the narrator is a pretty unique spin. Of all the books about the Holocaust, Zusak has managed to create a story that stands out and can be read by adults and youth alike. 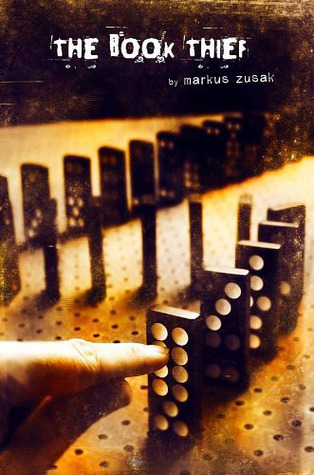 Synopsis: Set during World War II in Germany, Markus Zusak’s groundbreaking new novel is the story of Liesel Meminger, a foster girl living outside of Munich. Liesel scratches out a meager existence for herself by stealing when she encounters something she can’t resist–books. With the help of her accordion-playing foster father, she learns to read and shares her stolen books with her neighbors during bombing raids as well as with the Jewish man hidden in her basement before he is marched to Dachau. 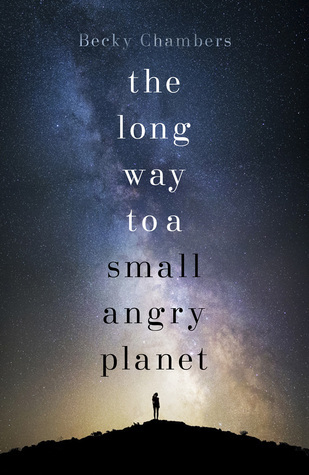 The Long Way to a Small, Angry Planet (Wayfarers #1) by Becky Chambers: This whole series is very different from all the other sci-fi I’ve read. The story is driven almost entirely by the interpersonal relationships of the crew. Chambers focuses on character development, creating believable and unique characters who you care about more than you care about the plot. Synopsis: Somewhere within our crowded sky, a crew of wormhole builders hops from planet to planet, on their way to the job of a lifetime. To the galaxy at large, humanity is a minor species, and one patched-up construction vessel is a mere speck on the starchart. This is an everyday sort of ship, just trying to get from here to there. 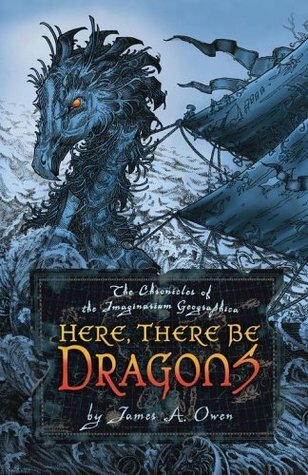 Here, There Be Dragons (Chronicles of the Imaginarium Geographica, #1) by James A. Owen: Once again, the idea of an imaginary land where fairy tales are real isn’t a totally unique idea, but the way that this author has written the story is completely new to the genre. The number of “aha” moments in this series is part of the fun of reading them, and I have yet to find another series that makes me as proud to be a book nerd as this one. Synopsis: An unusual murder brings together three strangers, John, Jack, and Charles, on a rainy night in London during the first World War. An eccentric little man called Bert tells them that they are now the caretakers of the Imaginarium Geographica — an atlas of all the lands that have ever existed in myth and legend, fable and fairy tale. These lands, Bert claims, can be traveled to in his ship the Indigo Dragon, one of only seven vessels that is able to cross the Frontier between worlds into the Archipelago of Dreams. 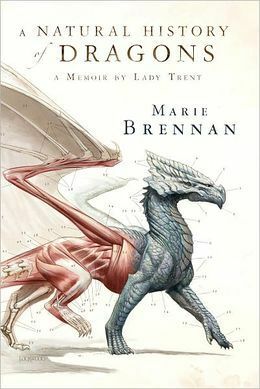 A Natural History of Dragons (The Memoirs of Lady Trent #1) by Marie Brennan: Although searching for dragons is pretty standard fare for the fantasy genre, the fact that this is a natural history travel journal written by a highborn woman makes it completely unique. I would love to read more books like this, but I haven’t found another adult series that tackles dragon hunting like Lady Trent. Synopsis: Here at last, in her own words, is the true story of a pioneering spirit who risked her reputation, her prospects, and her fragile flesh and bone to satisfy her scientific curiosity; of how she sought true love and happiness despite her lamentable eccentricities; and of her thrilling expedition to the perilous mountains of Vystrana, where she made the first of many historic discoveries that would change the world forever. 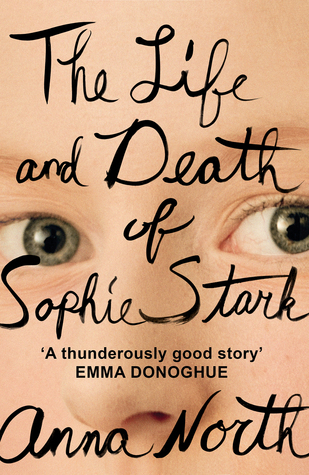 The Life and Death of Sophie Stark by Anna North: Have you ever read a book and loved it, but couldn’t figure out how to convince other people why they should read it? This book is so hard to describe, because it’s a bunch of separate but connected stories about a woman who you never actually get to hear from. There are many narrators, most of whom aren’t that likeable, and you are wondering if you should even like or care about the main character, and yet I couldn’t put it down and wish that more people would read it so we could talk about it! Synopsis: Told in a chorus of voices belonging to those who knew her best, The Life and Death of Sophie Stark is an intimate portrait of an elusive woman whose monumental talent and relentless pursuit of truth reveal the cost of producing great art, both for the artist and for the people around her. 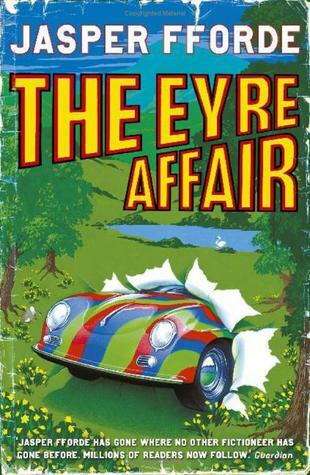 The Eyre Affair (Thursday Next, #1) by Jasper Fforde: I’ve never read a book that was like this series. I love the mix of mystery, fantasy, and realism that Fforde uses to create a world that feels almost entirely believable. I can’t say that I would be surprised if one day someone told me that there is a secret organization that “fixes” literature by entering books and ensuring that the characters stick to the plot. It’s one of those things that I just hope is real, even though I’m much too old to believe in such things. Synopsis: Set in an alternate reality 1985, London’s criminal gangs have moved into the lucrative literary market. Literary detective, Thursday Next is on the trail of Acheron Hades, a villain who has been kidnapping characters from works of fiction and holding them to ransom. 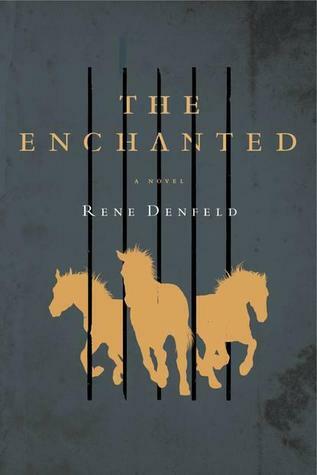 The Enchanted by Rene Denfeld: I was initially drawn to this book because of the cover, and I am so glad that I took the time to read it. I found the unique narrator a welcome change from the norm. Having an inmate in the prison who is only tangentially related to the overall plot made this a very new and interesting read for me. Synopsis: The enchanted place is an ancient stone prison, viewed through the eyes of a death row inmate who finds escape in his books and in re-imagining life around him, weaving a fantastical story of the people he observes and the world he inhabits. Fearful and reclusive, he senses what others cannot. Though bars confine him every minute of every day, he marries magical visions of golden horses running beneath the prison, heat flowing like molten metal from their backs, with the devastating violence of prison life. Two Boys Kissing by David Levithan: I have to give the author props for this story because he chose to dive into this subject matter fearlessly. This is the first book that I read that showed gay youth as more than just side characters. I really enjoyed the multiple narrators, the unique stories, and the overall realism. Synopsis: While the two increasingly dehydrated and sleep-deprived boys are locking lips, they become a focal point in the lives of other teen boys dealing with languishing long-term relationships, coming out, navigating gender identity, and falling deeper into the digital rabbit hole of gay hookup sites—all while the kissing former couple tries to figure out their own feelings for each other. I have not read any of the book mentioned in your post this week. The Book Thief is on my list of reads though. The Book Thief made my list this week too. Such an incredible book! Several of these are new to me too so I’m going to have to check those out since they all sound wonderful. Thanks! Picking just 10 was so hard! Wonderful thoughtful post! I loved your synopsis of each book you included. I had also put The Book Thief on my list at one point. My list kept getting amended as I kept thinking about the topic. The Eyre Affair is a great book to add to this list. What a unique concept. I really like your blog background by the way. Great list! I adore The Book Thief ❤ Such a unique read. I’ve only heard of The Book Thief but The Life and Death of Sophie Stark and Two Boys Kissing seem interesting! The Life and Death of Sophie Stark left me so emotionally drained after, but it was soooo good. And Two Boys Kissing is just amazing. You won’t regret reading either of them. The Book Thief was on my list this week too. It’s one of my favourites! I completely forgot to add The Book Thief this week. Such an unique read as well.